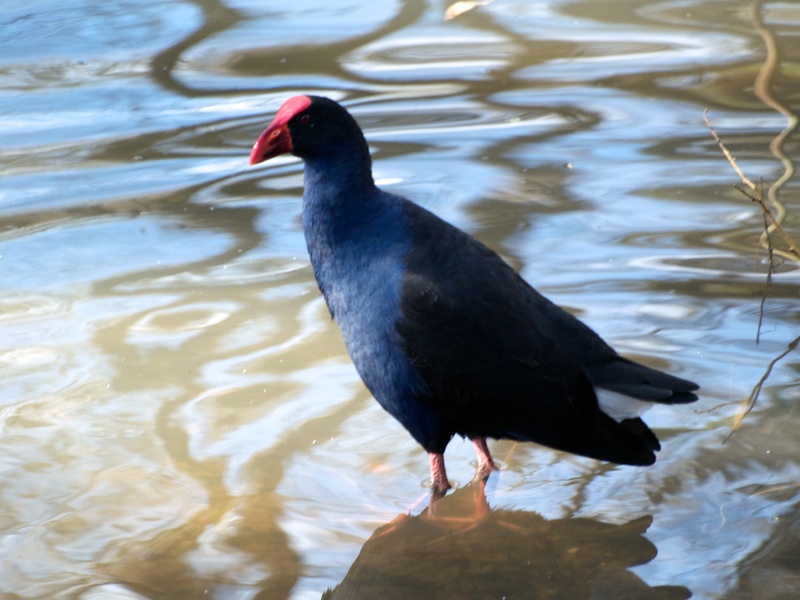 The Purple Swamphen (Porphyrio porphyrio) is an aquatic bird about 41 to 44 centimetres in size. It has a bill and frontal shield brick-red in colour and red eyes. The head and upper-parts are black, while the under-parts and wings are deep blue to purple-black. 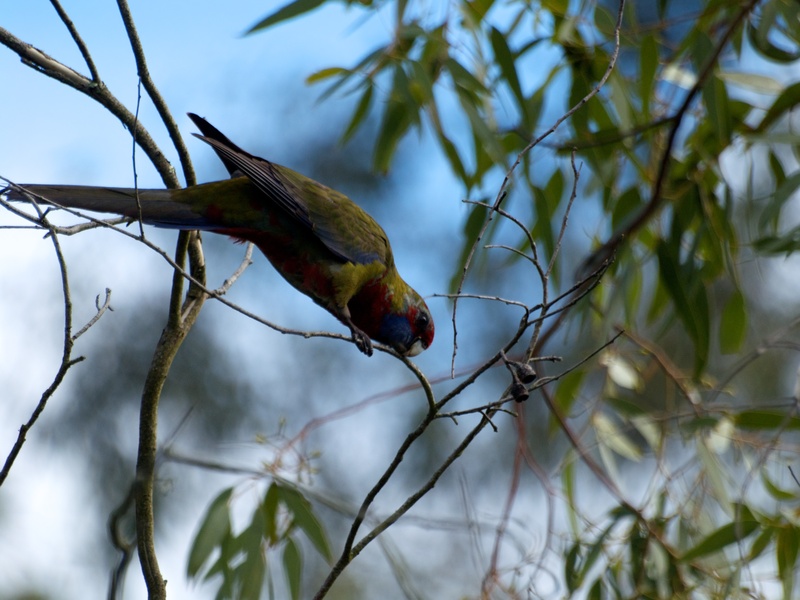 The under tail coverts are white. Nestling birds are black and their bill is a greyish-white and a black tip. Their legs will be grey and turning red with age. A juvenile bird will be a browner colour. Purple Swamphen – on the banks of Barongarook Creek. 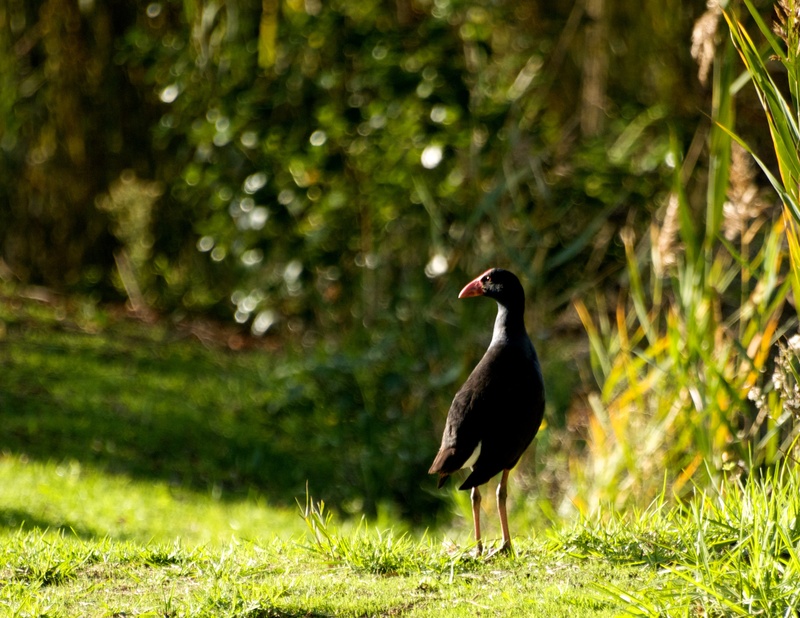 The habitat of the Purple Swamphen consists of swamps, marshy paddocks, and just about any water way. This Purple Swamphen is standing on a rock just beneath the water. 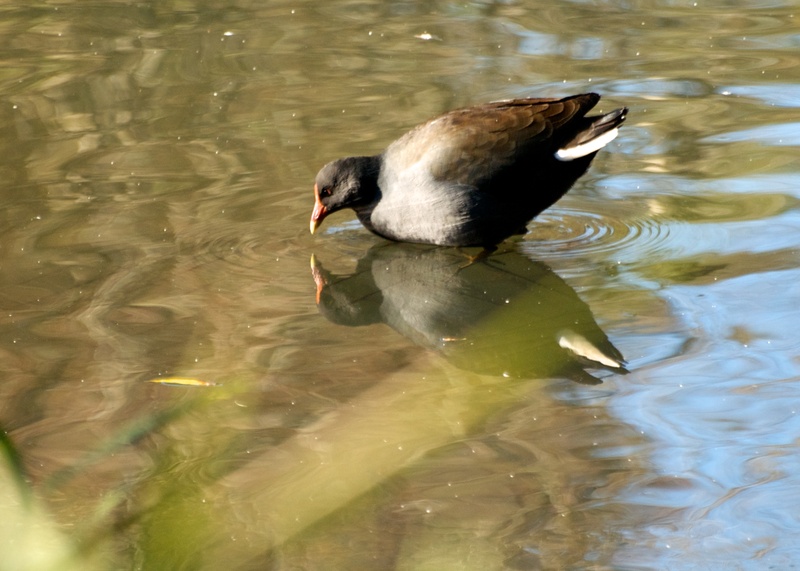 In this last photo you can see the elongated toes of this waterbird, enabling it to walk on any lily pads that may be on the water. For reference I consult the Simpson & Day Field Guide to the Birds of Australia. I have the fifth edition, however I believe there is now a sixth edition. Please Note: All images appearing on my blog were taken by me. They are copyrighted and all rights are reserved. If you would like to purchase a print please contact me by leaving a comment below with your order and contact details. I will then get back to you. Barongarook Creek feeds into Lake Colac in Victoria, Australia. 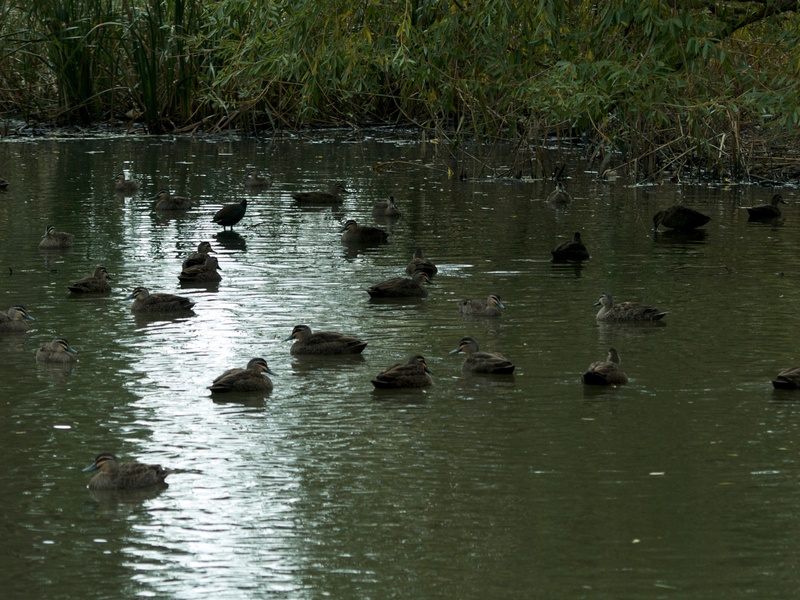 Just before it enters the creek, there is a deep shaded pool that is home to several species of ducks, particularly Pacific Black Ducks (Anas superciliosa). The pool in Barongarook Creek that is home to many ducks. 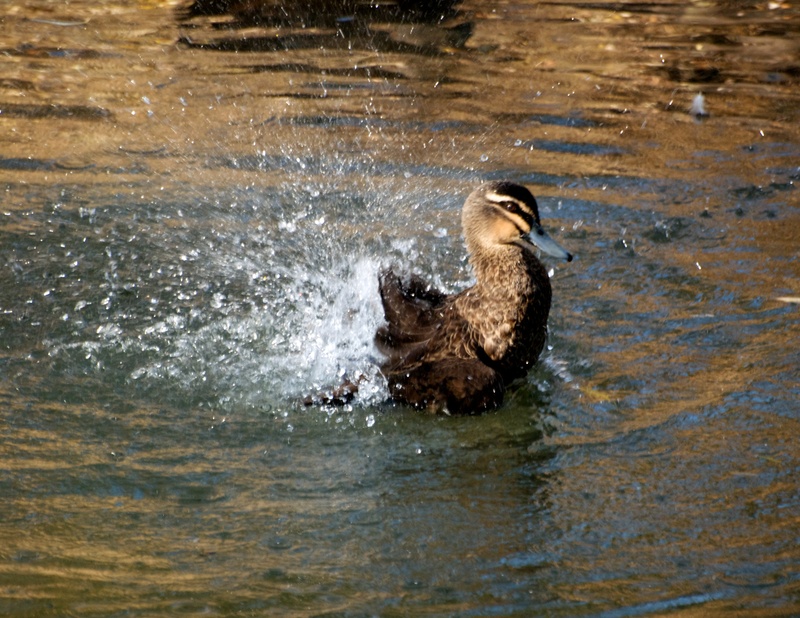 A couple of days ago, I arrived at this spot just in time to capture some shots of this particular duck having a bath. There was plenty of water splashing! Then there was a lot of flapping wings to dry off! Standing up right and flapping of wings to dry off! 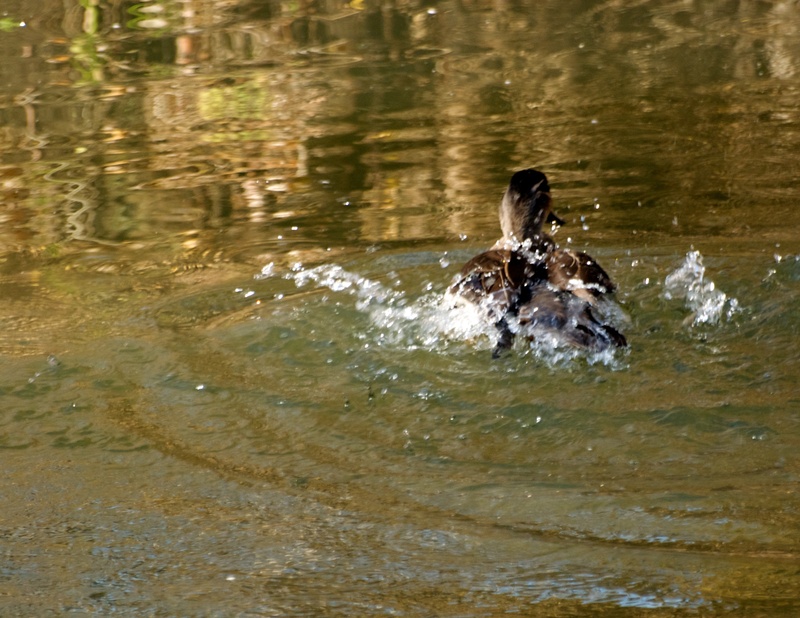 Then there was some more splashing! And some diving under the water! 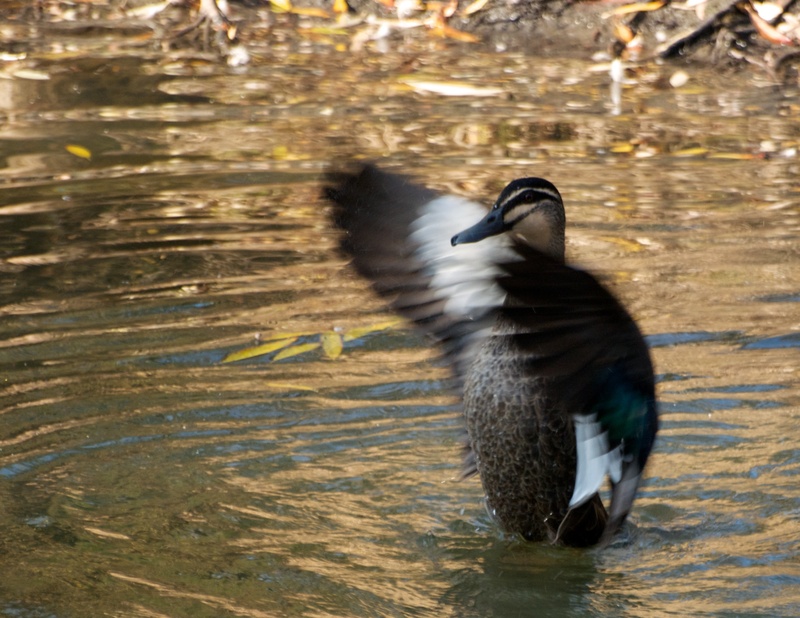 Then finally, more flapping of the wings to dry off! A final drying off with plenty of wing flapping! Commonly called an Orchid, the Orchidaceae is a beautiful flowering plant of which there is between 22,000 and 26,000 accepted species. 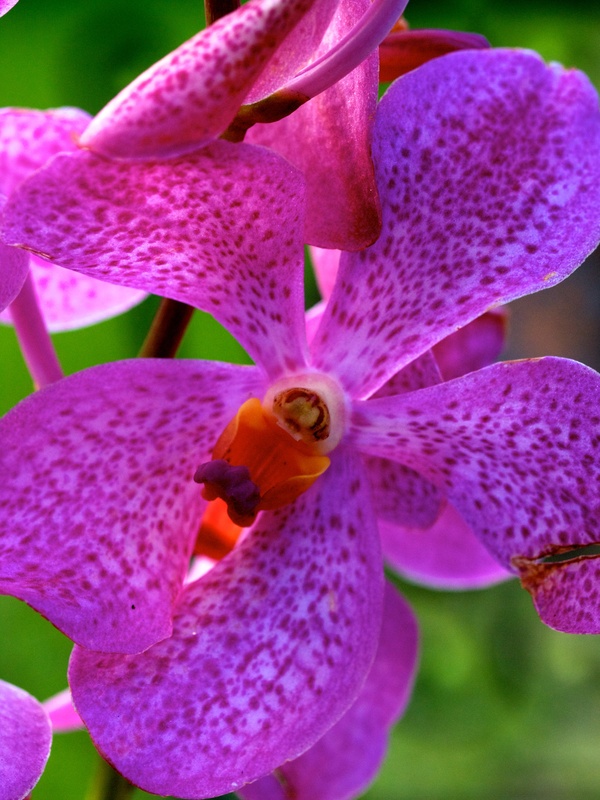 With the Asteraceae, Orchids are one of the largest families of flowering plants. 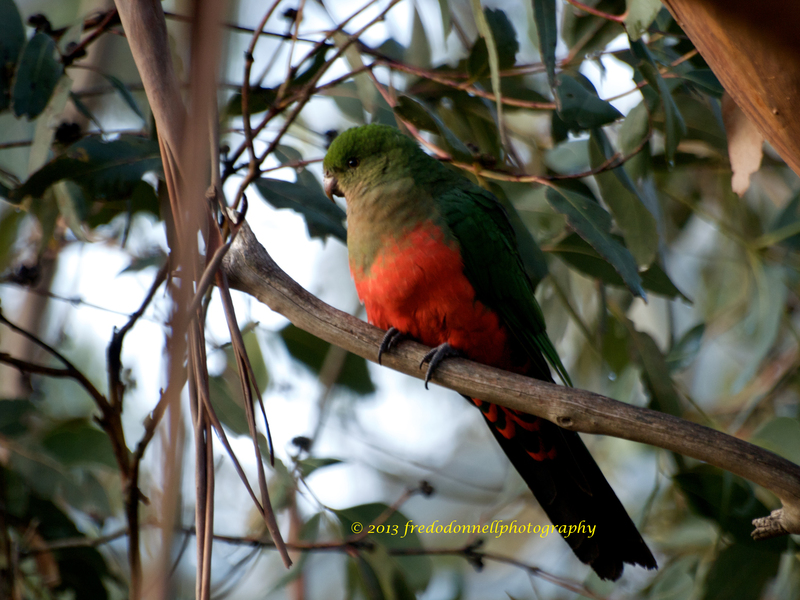 The following images were taken by me a few days ago as I sat on my verandah observing the parrots which were feeding on the seed I had put out. 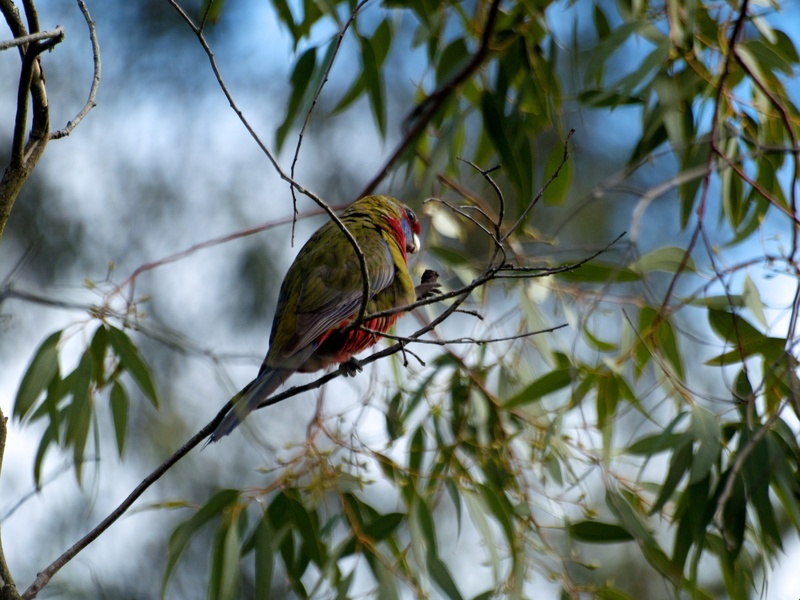 This is an Immature Juvenile Crimson Rosella (Platycercus elegans) a very common bird in my part of Australia. 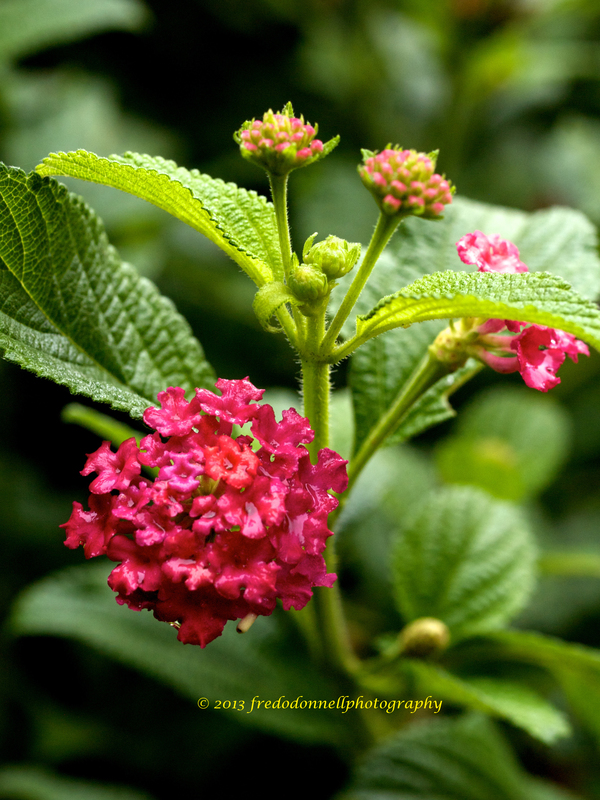 It is 35 centimetres in size and usually found in moist forests, farmlands and parks. The second image shows it getting closer – it makes you wonder how such a thin branch can hold its weight! 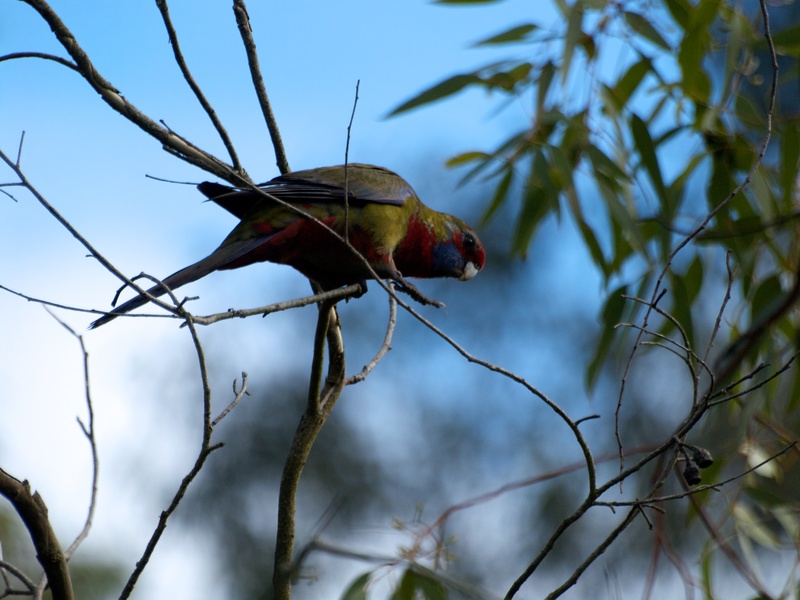 Juvenile Crimson Rosella – Getting closer!! Then, it takes the gumnut and gives it the eye! Giving the gum nut the eye!! The Pied Currawong (Strepera graculina) is sized about 41 – 51 centimetres with a black coloured body. It has large white crescent-shaped patches on its wings and its under-tail coverts with the base and tip of the tail being white. It has a robust bill with a well-defined hook. The Pied Currawong’s voice is a noisy very distinctive ring double call “curra-wong”. 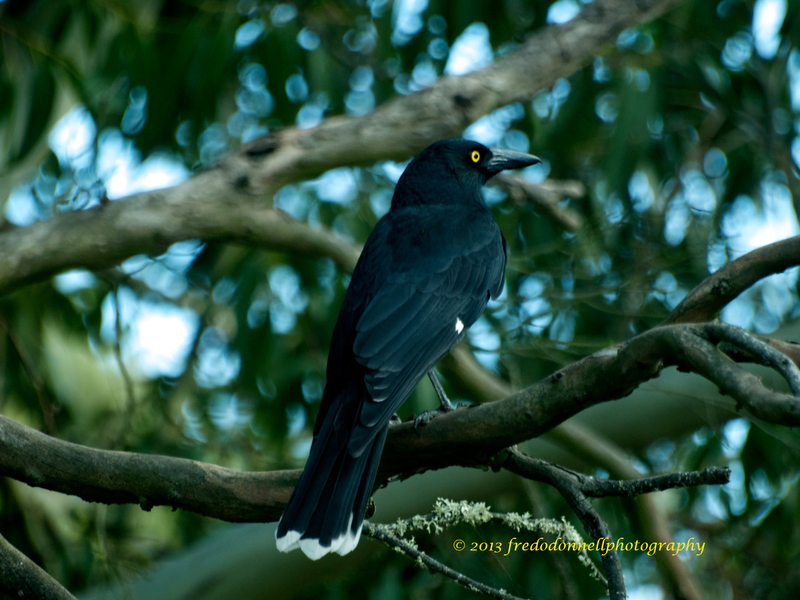 The habitat of the Pied Currawong consists of open and low open forest, woodlands, agricultural and urban lands. Yesterday I awoke to very heavy overcast weather conditions. Much needed rain was pouring down onto the roof. 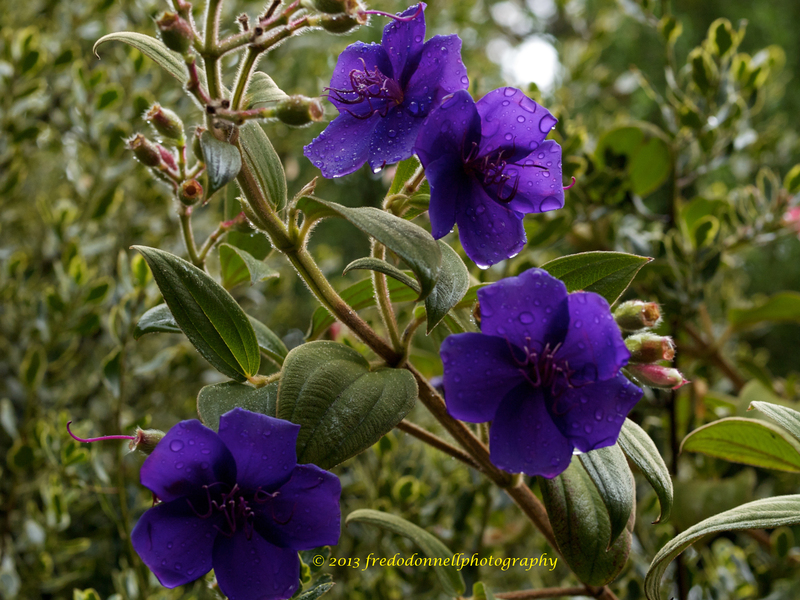 My photographic experience has taught me that overcast conditions are excellent for flower photography, and, knowing I would be near the Botanical Gardens during the day ensured I packed my camera gear. 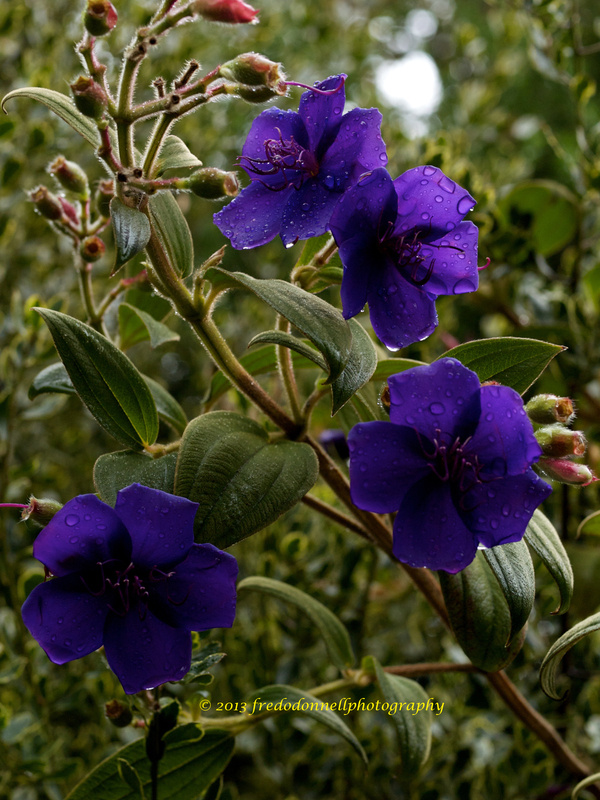 The first three images were taken in overcast conditions. On arriving home and uploading the images to my computer, I was a little disappointed with some of the results. 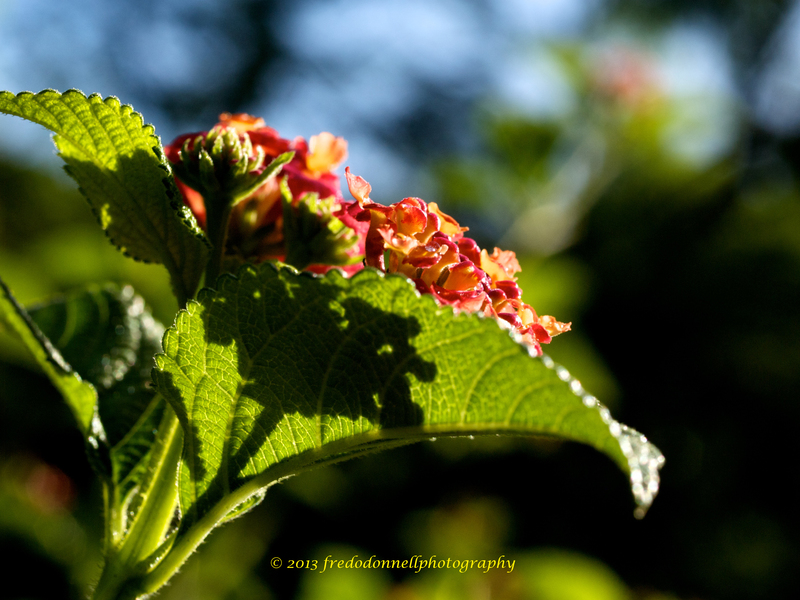 I returned to the gardens later in the afternoon to take some more shots. Just as I was about to click the shutter the sun came out. 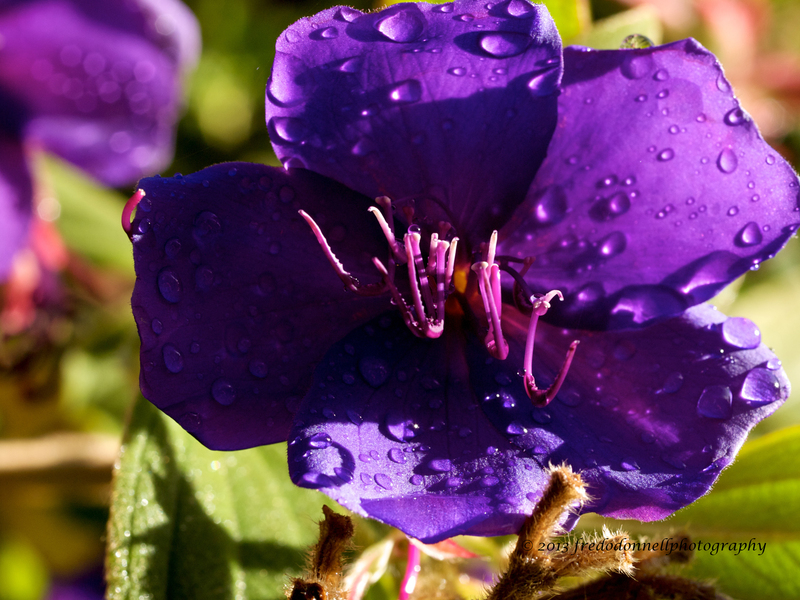 Unidentified Purple Flower – When the sun came out. 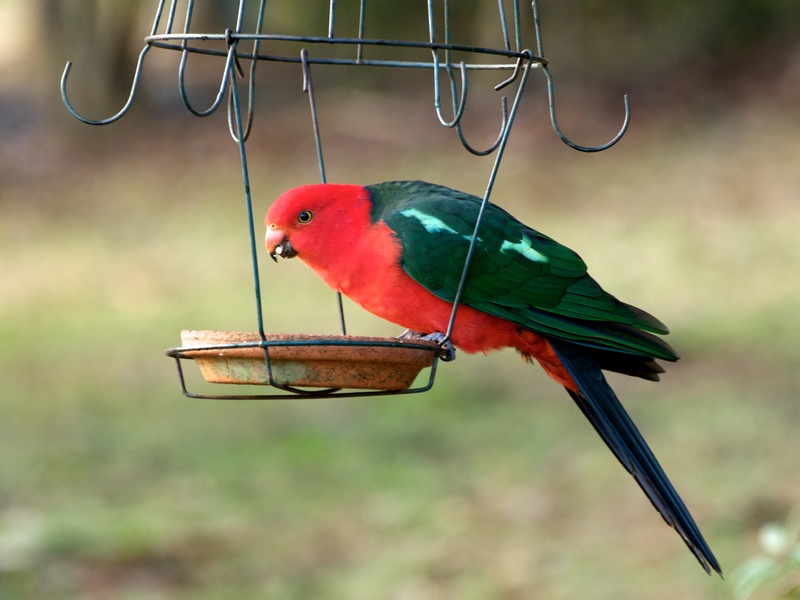 The Australian King Parrot (Alisterus scapularis) is an occasional visitor to my garden. 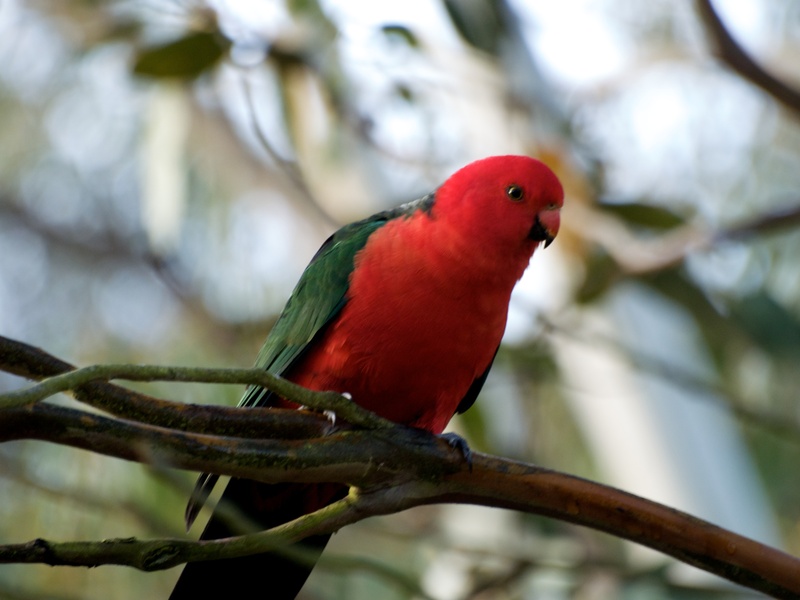 It is a long-tailed parrot and is a very distinctive bird of about 42 centimetres in size. 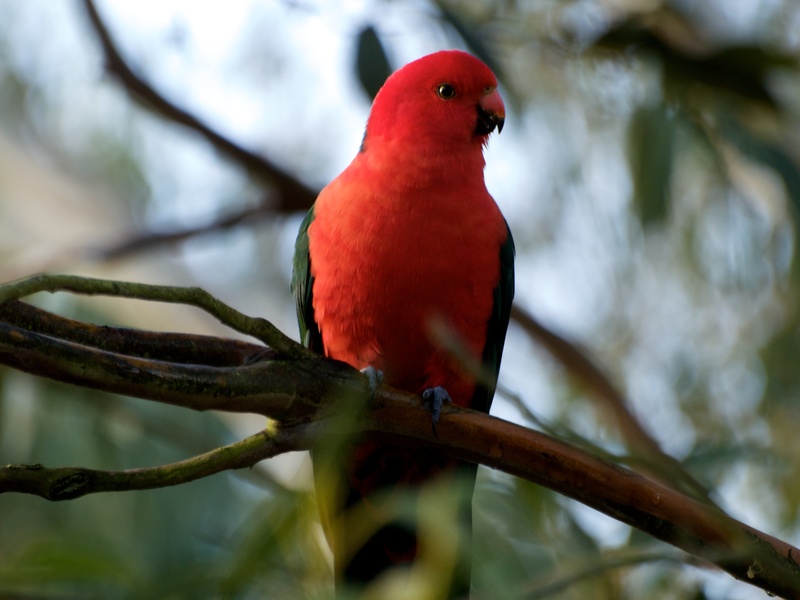 The male’s head and underparts are a brilliant scarlet while the back is green. The rump is blue and the tail a black-blue. There are green crescents on the abdomen and under tail coverts. The inner wing has light has light green coverts. 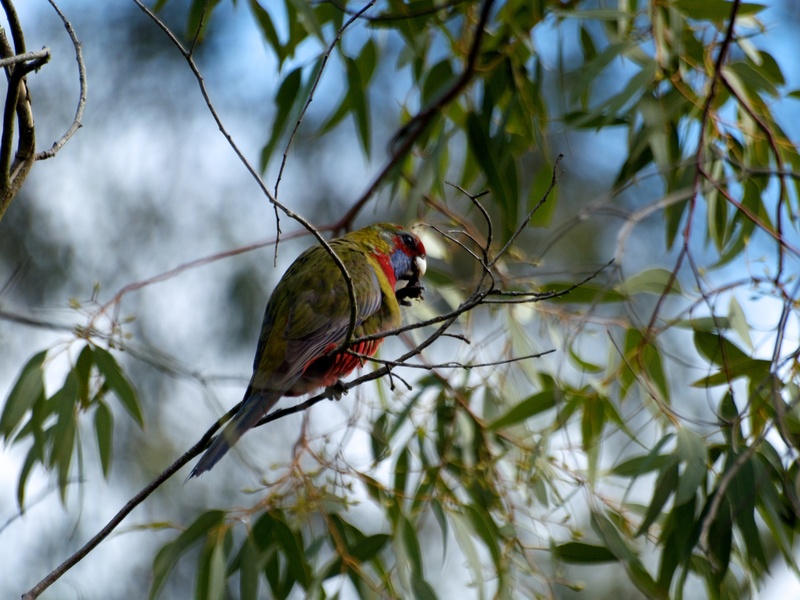 The female and immature juvenile birds are very similar to the male except the head and neck are light green; there is usually no light shoulder stripe. 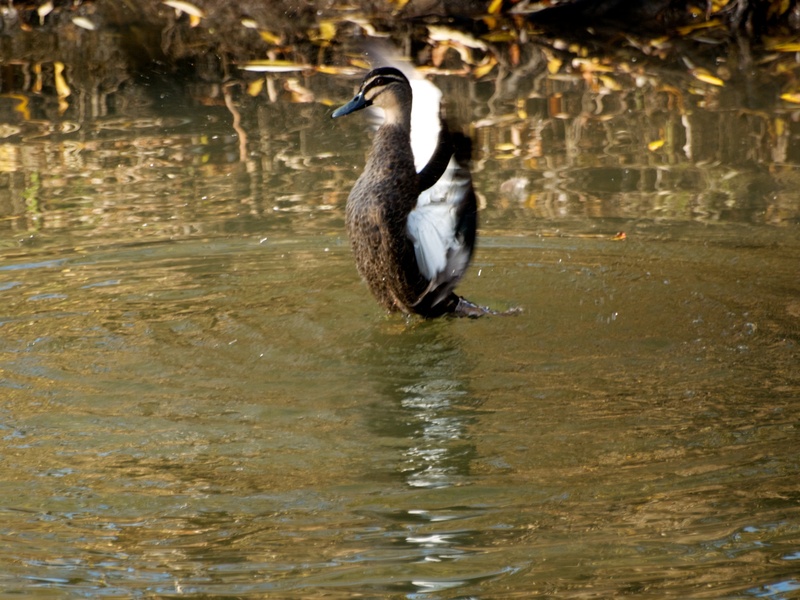 These birds habit moist tall forests and the adjoining farmland. They will visit orchards, (they are known for raiding fruit trees) gardens and parks during winter and autumn.